Mauricetown is located in southern New Jersey along the Maurice River. It is a tiny little town packed with Colonial, Federal and Victorian style homes. 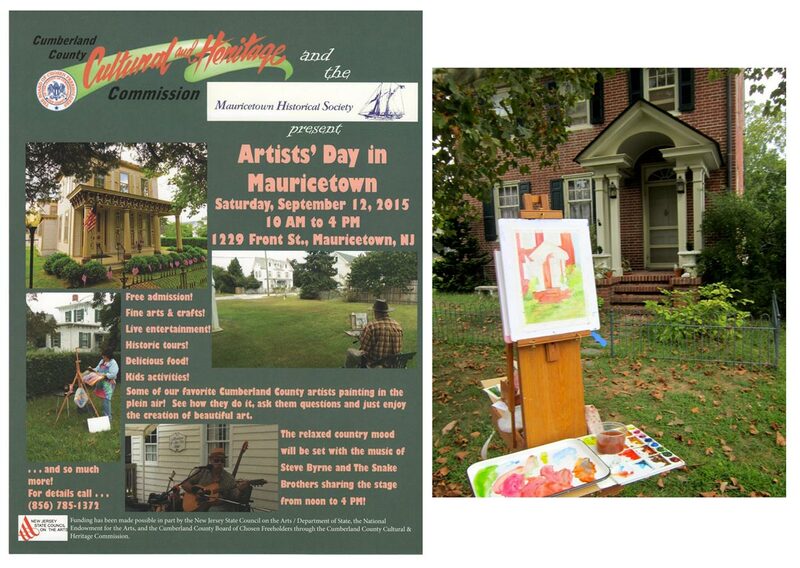 The Cumberland County Cultural and Heritage Commission and the Mauricetown Historical Society host an annual Artists’ Day, complete with music and food! 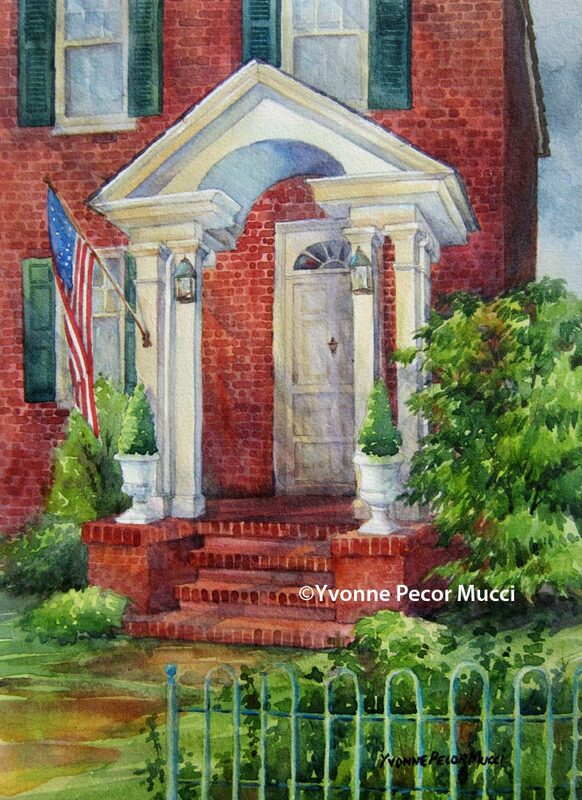 Had a great time talking with locals, painting a neat portico en plein air and having the company of other artists. I’ll definitely be back for Mauricetown Artists’ Day next year! Great fun!